Claims adjusters aren’t there for you. The claims adjuster sounds friendly on the phone, right? But simply put, he or she is not there for you. The claims adjuster works for the insurance company, and is there to make money for the company. He or she is not there to pay you what you deserve. Claims adjusters are highly trained professionals. Claims adjusters are trained to do what is best for their company, not what is best for you. Their training is highly specialized to deal with insurance claims. Claims adjusters are taught how to be your friend. As part of their training, claims adjusters are taught how to be every customer’s friend. They don’t want you to dislike them because then you are less likely to settle and will then seek the help of others. They are trying to dissuade you of this, when in fact, it is best for you to seek the help of an experienced attorney. Claims adjusters are taught how to minimize the amount they pay out to you. First, claims adjusters have a range that they are looking to settle at, and of course they are going to offer you something at the lower end. On top of that, claims adjusters are taught how to get you to accept that lower payment. Claims adjusters are trained to manipulate. Claims adjusters aren’t bad people, but they know how to manipulate so that you do not get all the compensation you most likely deserve. Remember, they’re trained to be friendly to your face. Claims adjusters want to settle before all your injuries are diagnosed. 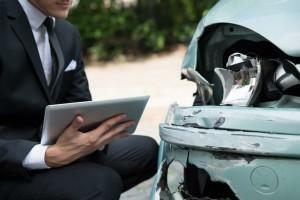 Many of the injuries you may suffer from an auto accident are not clear at the beginning. Claims adjusters want you to settle before all injuries are diagnosed so that the insurance company pays you less than what you deserve given the extent of your injuries. Claims adjusters try to get you to settle quickly. Claims adjusters want you to settle as soon as possible, not only because it moves your claim off their desks, but a quick case resolution means that they were able to talk you into a low amount without you seeking advice from others. Claims adjusters try to get you to settle for less than what you are entitled to. This is the overall theme here. Claims adjusters want you to settle for less than you are entitled to because that means that in the end they have made more money for the insurance company. Please be wary of claims adjusters’ tactics. They are working for the insurance company and will most likely not offer you the money you deserve given the extent of the injuries that you suffer from after an accident. Getting an experienced personal injury attorney on your side will be in your best interest. We understand how claims adjusters work, and will fight to get you the compensation you are entitled to.